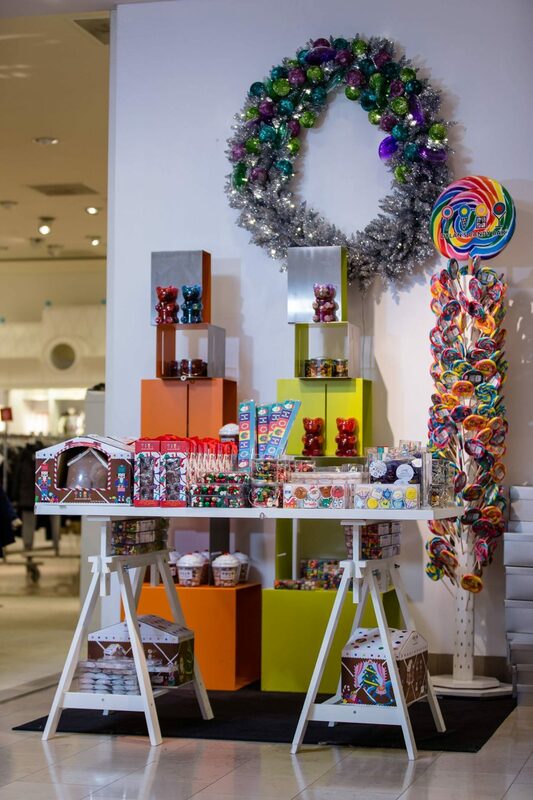 I am excited to partner with Neiman Marcus again this year on my gift guide for kids. As I’ve mentioned before, I’ve found this year shopping for two kids to be more challenging, so I’m happy to share lots of ideas that I hope you’ll love and that will inspire you to shop for the kids on your list. 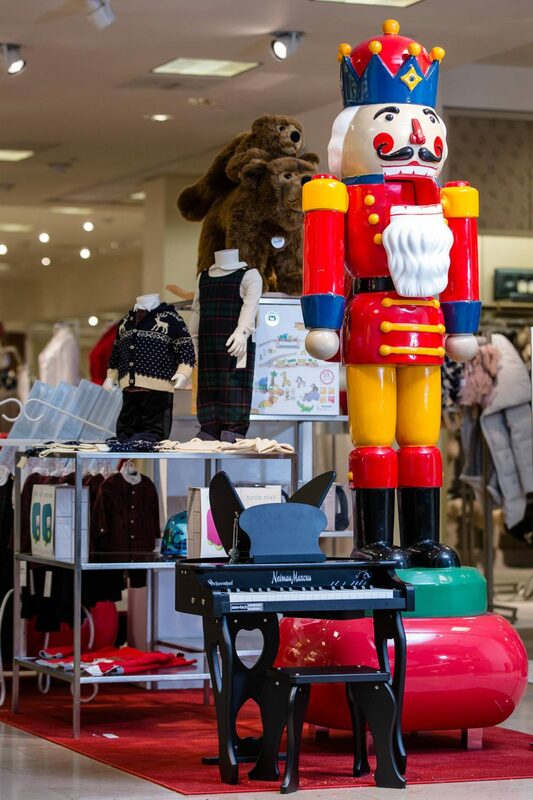 Dollar signs may be in your eyes when you hear that we’re talking about kids gifts from Neiman Marcus. Not to worry, there are TONS of great gift ideas well under $100 for kids of all ages. But there are also a few, not-to-be-missed splurges that you may want to look at, just for fun! Best Stocking Stuffer: Anything and everything from Dylan’s Candy Bar. These candy tackle boxes are super cute, but can you ever go wrong with anything gummy? I don’t think so. Big Kid Playtime: The musical gifts are my favorite, including this toy piano and musical instrument set. On the go? This keyboard rolls up! 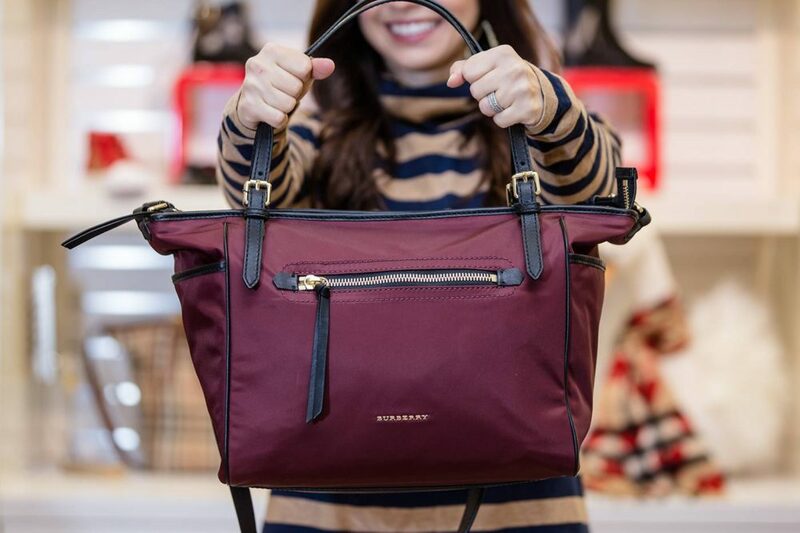 Favorite Splurge for Mama: Does mama need a new diaper bag? If I’m daydreaming, I’d pick this one! I also love this one as a more practical option. 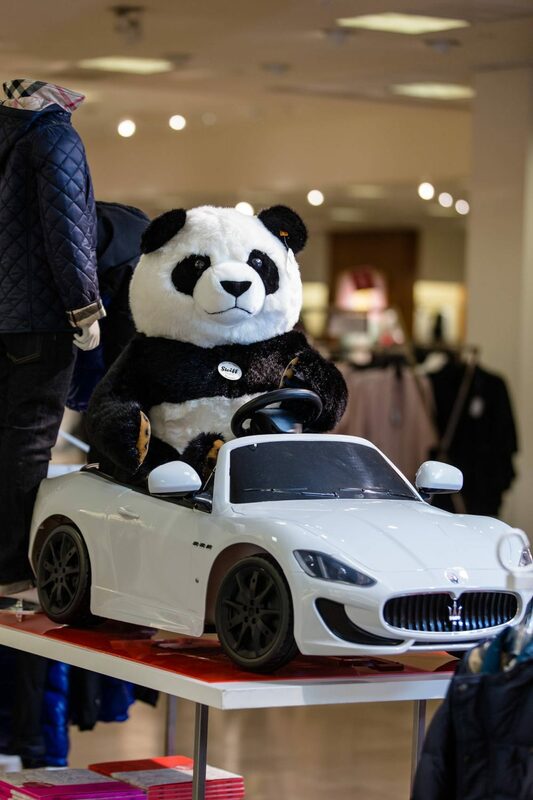 Best Splurge: If you think the panda driving the Maserati is cute, think about your kids driving it? I’m not completely trusting of Jackson’s driving skills, but man he’d be cute in that thing! Everything in this post is available at Neiman Marcus at the Somerset Collection in Troy, Michigan. There are also wrapping stations throughout the store, so you can get all of that taken care of for you while you’re in store! Happy Shopping! Such great rift idea! I wish we had one in Memphis but I love shopping there online too! That kid Maserati is hilarious and amazing!! I always love going to Neiman’s! These are such fabulous gift ideas! Wow what great gifts, I had no idea Neiman Marcus offered such a wider selection of kids toys! Thanks for sharing! What a cute gift guide! I love the candy section! Such great ideas!!! We got our girls a mini piano two years ago and it was a big hit!! Such a cute gift guide, Neiman’s is the best!